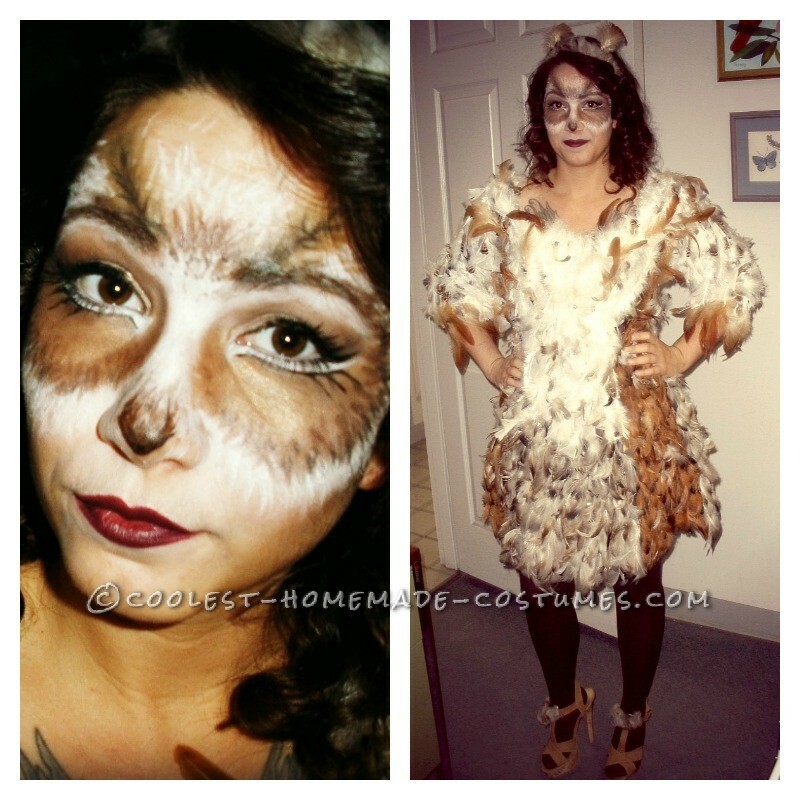 Owls are my favorite animals so I thought it would be a good idea to try to make a DIY Owl costume. It took 8 long hours of hot gluing feather by feather onto a plain black skater dress and making the head piece with just a headband and feathers. The makeup used was just eye pencils and some different brown shadows and is actually much easier than it looked. The whole costume was actually pretty easy to make, just very time consuming. I wore it to my work contest and got 1st place, then had to wear in public and got tons of compliments, and plenty of odd stares, haha. One kid asked me if I was in a play as he slammed the car door on his girlfriends leg. Overall this is not the most flattering but the best costume I have ever made and wore for Halloween. I always try to out-do myself each year though so hopefully next year I can come up with something better! Just wondering where you bought the feathers to make this, and how many did you need?